While we're still yet to see or hear the slightest trickle of info surrounding how it will play, Nintendo's upcoming mobile app Mario Kart Tour has been delayed until this summer. Originally scheduled to arrive in the financial year ending March 2019, the app has been pushed back to the summer to improve its overall quality as well as its post-release content. The news comes from Nintendo's official Japanese Twitter account. 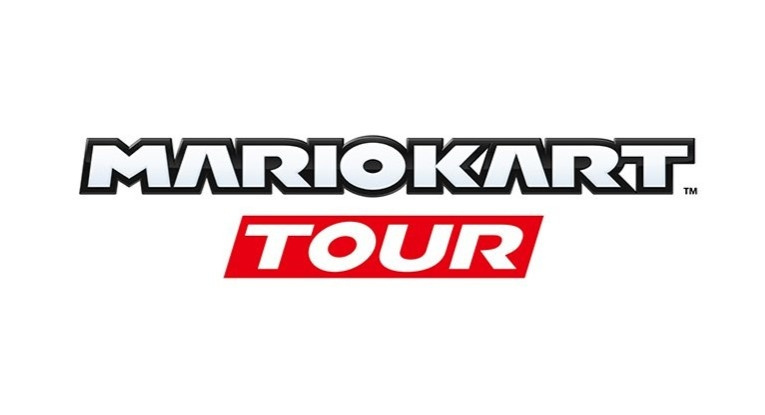 As we mentioned above, other than this slight delay announcement, we really don't know much at all about what Mario Kart Tour will really be. It was first announced in February last year, with it soon being revealed that it will be a 'free-to-start' application, but we're still waiting for its grand reveal. Interestingly, in a financial briefing last year, Nintendo said that it would be starting "a service" for Mario Kart Tour, describing it as an "application" rather than a game. Are you intrigued by the idea of Mario Kart on mobile? What do you think the finished product will look like? Share your thoughts with us below. Tough beginning of 2019 for Nintendo, first Metroid and now MK Tour delayed as well. Hmm, perhaps another mobile game to encourage folks to go outside like Pokemon Go? Maybe it'll tie into a Mario Kart 9? Will it be released "worldwide" like Dragalia Lost, Another Eden, probably SINoALICE and all those Japanese games that never come to Europe but are marked "worldwide" because they are released in the US? "2019 is going to be the best year ever for Nintendo!" Considering how early in development this app seems to have been. I really think they announced it WAY too early. This is gonna be a mobile game, not Mario Kart 9. Mobile games don't hold interest like real games do. @Ovedo Best year ever? Probably not. Really darn good? Probably. Pokemon, Fire Emblem, Animal Crossing, Yoshi and Luigi's Mansion 3 are all pretty major first party exclusive Switch releases from proven series. Daemon X Machina has the potential to be a major new franchise as well. Not to mention the Switch is now riding comfortably on a pile of great ever green sales to boot. Plus all the great indie and 3rd party titles. The Switch might not sell like the Wii did. But basically nothing comes close to the Wii anymore. @Angelic_Lapras_King You can use it in your car, attach it to the steering weel and go! .... No, really, that would be dangerous... I'm writing this while I'm driving and throwing banana peels out of the window. The standard phrase, "X on the go!" now has a different meaning since the Switch came out. The appeal of a phone version of a classic franchise has significantly diminished. Even the infamous phrase, "Haven't you guys got phones? " begs the retort, "We have Switches!" That said, I'll keep calm until somone announces a delay to Daemon X Machina and then I'll throw a proper wobbly. @CharlieSmile Believe or not I'm relaxed and only pointing out facts. Metroid was a huge blow for them, on the top of that there are reports that they have the Metroid Trilogy ready to be released but it got postponed indefinitely because of MP4. Then, you have February without any Nintendo games, my personal bet is that we would have the Metroid Trilogy this month but now there is nothing. And from the games we know, there is nothing much to be excited. The only big game is the new Pokemon but is Nintendo going to invest all their effort in only one game for the the holiday season? how about the rest of the year? With Nintendo lowering FY2018 Switch hardware shipments by 15% and this delay (+ Prime 4's reboot), their stock is gonna take a beating in the coming hours. @tourjeff Metroid was never slated for this year and the hd trilogy is all rumour. Obviously you like what you like but the list of games coming from Nintendo alone is enough to make most Nintendo fans very happy. That's not to mention other smaller titles that will get sprinkled throughout the year, as well as unannounced games. @Medic_alert @westman98 Yes, true, people have different preferences and the currently Nintendo list of games are not exactly my cup of tea. Luigi's Mansion 3 I would give a go as I've never played the others before but Animal Crossing and Fire Emblem I really don't like them. Another on the list that seems interesting is Daemon X Machina but I'd wait for reviews before buying it. So, potentially only these two games and Mortal Kombat 11 that I would buy so far. I hope we will have surprises throughout the year not only from Nintendo but from 3rd party developers as well. Personally really only things from Nintendo this year I'm interested in at the moment are Fire Emblem and Pokemon Gen 8. Luigi's Mansion depends on if it more closely resembles the first game or the second (if it's the second not bothering with it) and I'm done falling for dropping money and time on Animal Crossing just to never touch it again the second I miss a turnip day. This game is going to make a f**king fortune regardless of when it's released. After the positive response to Metroid 4 being delayed, Nintendo has decided to delay everything. @Gs69 and you think if Nintendo brought out its own SmartPhone controller accessory it wouldn't be expensive too?! Ha ha! @frabbit but we still don't know what kind of game/app it is. Aren't Nintendo having an investors meetingtoday? -Mobile game slated for Q1 2019 gets delayed to Sumner 2019. How does that make 2019 worse?? Nintendo needs to start releasing some remastered titles to fill their barren schedule on Switch (i.e. Metroid Trilogy, Mario Galaxy's). Pokemon and Animal Crossing aren't 100% confirmed ready for this year (I have no interest in either anyway). There's just less games being released in this hi-def era because they take years to make. So fill the gaps with easy remasters. So far all I'm looking forward to this year from Nintendo is Yoshi and Luigi's Mansion. @Outspoken I'm assuming (reasonably I think) that it's going to be a version of Mario Kart for Smartphone. In before someone says "Do you guys not have phones?" @Gs69 hmm..I dunno about that, going by the amount of times I've had to send in my joycons to be fixed for drift, Nintendo has proven quality isn't always guaranteed. @frabbit history tells me, you can't assume with Nintendo - expect the unexpected but here's hoping it is a decent mobile MK. @Outspoken I never said it would be decent I haven't been a fan of any of their mobile content so far, but MK is massive, so I'm sure it will sell fairly well regardless of the quality. Mobile gamers will play anything... (joke, kind of). 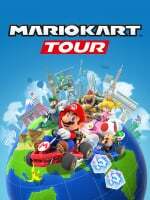 I want this game to be as good a possible, especially if this is the reason we don't have a mario kart 9! I am curious. I think it will be good. a service? Don't tell me they plan a monthly online plan like they did for the Switch..
It’s gonna be an app for an awesome taxi service!! I don't know if I can see a good way to play this as a mobile title, but we'll see. I for one won't be picking it up. @Heavyarms55 Well keep in mind, they didn't market it to the public yet, it's just been a carrot for investors who believe that it's only possible to make money in mobile. I don't mind the wait, plenty of other mobile games to have fun with in the meantime. Hopefully this just means it'll be worth set wait once it finally releases. I didn't even realize it was planned to launch earlier, so for me this is just good news confirming a release not too far away this year. I find it sad that your comment did receive more upvotes. Still no word if Europe is ever going to get Dragalia Lost. It's like the Nintendo from a decade ago, releasing games months after other regions (most notably Smash Bros Brawl and Pokemon games). You are right, this doesn't feel like 2019. I am not even asking for it to be translated to other languages, just to give us the opportunity to play the American version without relying on dodgy apk websites. I find it infuriating to see "worldwide releases" on every website when it is just Asia and North America. Didn't even know it had a launch window anytime soon so summer is not a delay for me at least. And hopefully we will get a direct or some posts on twitter or something to keep us up to date on fire emblem etc. Some people have been saying they are done with directs cause of new president. Hope this is not true and if it is they will up to date on new games via twitter. I don't know we get no directs in january and people are writing them off already crazy stuff!. There is NO game I play more than Mario Kart. On EVERY platform for decades. ...and I have ZERO expectation this will be good. Mario Kart minus the controller is no fun. Tilt is ok, tilting the screen and taking away physical buttons is NOT ok.
Mario Run on mobile proved just why mobile is not worthy of such great IP as Mario, the mobile experience does not measure up at all. I wish Nintendo would make Advance Wars for Mobile, and/or other games where being forced to use touch controls don't ruin the game. If you can’t play it with an MFI game pad I want nothing to do with it. in addition to first party and indies coming out, they will have mortal kombat 11, some resident evil, final fantasy, and other titles this year.